Psoriasis is a chronic skin condition indicated by scaly red patches that are painful and itchy at times. Estimate show that 150,000 new cases of psoriasis are diagnosed each year in the US. The condition affects 7.5 million Americans and about 100 million people worldwide. Although the underlying cause of psoriasis is unknown, it could be down to problems with the immune system. Management of psoriasis revolves around reduction of inflammation and to clear out the skin. 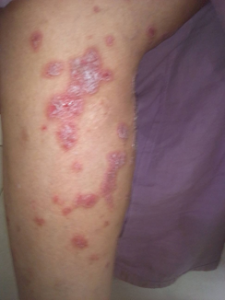 Let’s start with treatment options for psoriasis that doctors recommend to their patients. 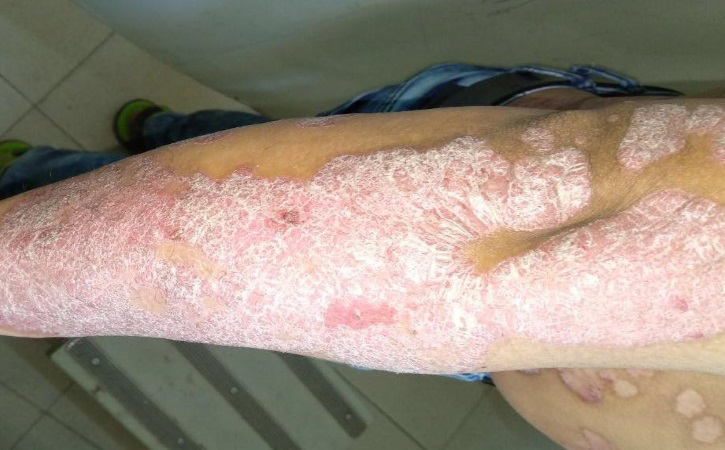 As mentioned above, the primary objective of psoriasis treatment is to decrease inflammation and improve the appearance of the skin, but the actual treatment depends on the severity of the condition. Standard methods of treating psoriasis fall into three categories: topical treatments, medications, and light therapy. Medications are prescribed for severe psoriasis in situations when other treatments don’t work. Your doctor may prescribe oral or injected medications. Due to the fact they can induce some side effects most drugs are meant for short-term use only. The most frequently prescribed medications for psoriasis are retinoids, methotrexate, cyclosporine, and others. In addition to treatments recommended by the doctor, there’s a lot more than patients can do to alleviate symptoms of psoriasis. Below, you can see a rundown of things you can do today for inflammation relief and to eliminate the annoying itchiness. 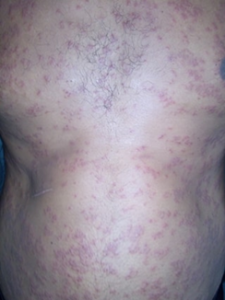 Psoriasis is indicated by red, scaly patches that may also itch or become painful. Patches are rough to the touch which is why it’s important to keep your skin moisturized. Besides topical treatments mentioned above, you may also want to use a moisturizer. Bear in mind that moisturizers won’t cure psoriasis, but it will keep your skin soft to the touch which can reduce itchiness. Sure, everyone loves when skin care products have a wonderful scent, but fragrances do more harm than good. Hundreds of chemicals are used for fragrances in skin care products thus explaining why they irritate the skin so easily. In persons with psoriasis, fragranced products can induce inflammation which can only aggravate patches, itchiness, and pain. Therefore, a useful thing to do is to avoid products with fragrances and opt for fragrance-free alternatives. If you have Psoriasis and also happen to be a smoker, it’s time to tell this bad habit goodbye. Psoriasis is, besides other health problems, strongly associated with smoking. 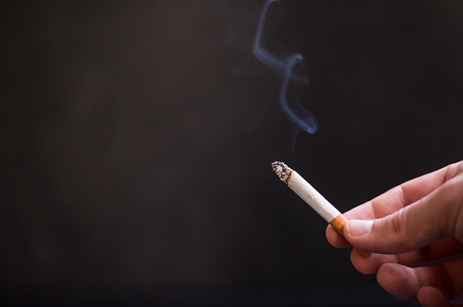 A growing body of evidence confirms that smoking is linked to psoriasis through various pathways such as oxidative stress, interaction with signaling pathways active in psoriasis, and vascular influences. In fact, many dermatologists advise their patients to quit smoking in order to reduce the symptoms of this skin condition. The way you bathe and shower plays a major role in the management of psoriasis. Successful management of psoriasis also requires making adjustments in the way you shower mostly because they can dry out your skin. That’s why you need to be careful. Avoid showering or bathing in hot water. Choose lukewarm water instead. Although you’re probably used to taking daily showers, try to reduce their frequency. Instead of taking a shower every day, maybe you can try to bathe every other or third day. The reason is simple; daily showering or bathing can strip away the natural moisture of your skin and aggravate symptoms of psoriasis. Of course, try to apply a rich moisturizer gently about a minute after you’re done with shower to lock in the moisture. An unhealthy diet characterized by sugar-laden products and junk food promotes inflammation which can only make your psoriasis worse. A significant step in the management of psoriasis is to modify your diet. Avoid consuming foods that have little to no nutritional value. Instead, focus on daily intake of a well-balanced diet rich in vitamins, minerals, antioxidants, enzymes, and other healthy nutrients. Studies show that healthy eating patterns such as Mediterranean diet can alleviate inflammation and aid in psoriasis treatment. Make sure your diet contains plenty of anti-inflammatory foods which will reduce inflammation associated with psoriasis and thereby decrease the severity of other symptoms too. Stress worsens symptoms of chronic conditions such as psoriasis. At the same time, chronic diseases can be a source of stress as well. In other words, the relationship between stress and psoriasis can turn into a vicious cycle, but you can tackle it properly. Don’t put yourself in a situation where stress keeps getting bigger and you do nothing about it. Do something you find relaxing to manage stress. It can be yoga, exercise, medication, jog, reading, writing, and you name it. Psoriasis treatments revolve around alleviating inflammation in order to reduce itchiness, pain, and scales. Consult your doctor and make necessary lifestyle adjustments that will allow you to cope with this skin condition successfully. What you eat, how you shower and habits like smoking can have a major impact on psoriasis and severity of its symptoms. Thankfully, you have numerous options to choose from, and you just need to be proactive. Tips from this article will help you improve symptoms of psoriasis but also your quality of life.